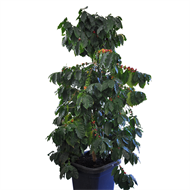 Ideal house plant with its glossy green leaves, jasmine scented flowers and red coffee beans. Grow your own Latte. Evergreen with glossy green lanceolate leaves up to 20cm long. White star-shaped flowers in spring form in clusters and have a strong Jasmine like fragrance. 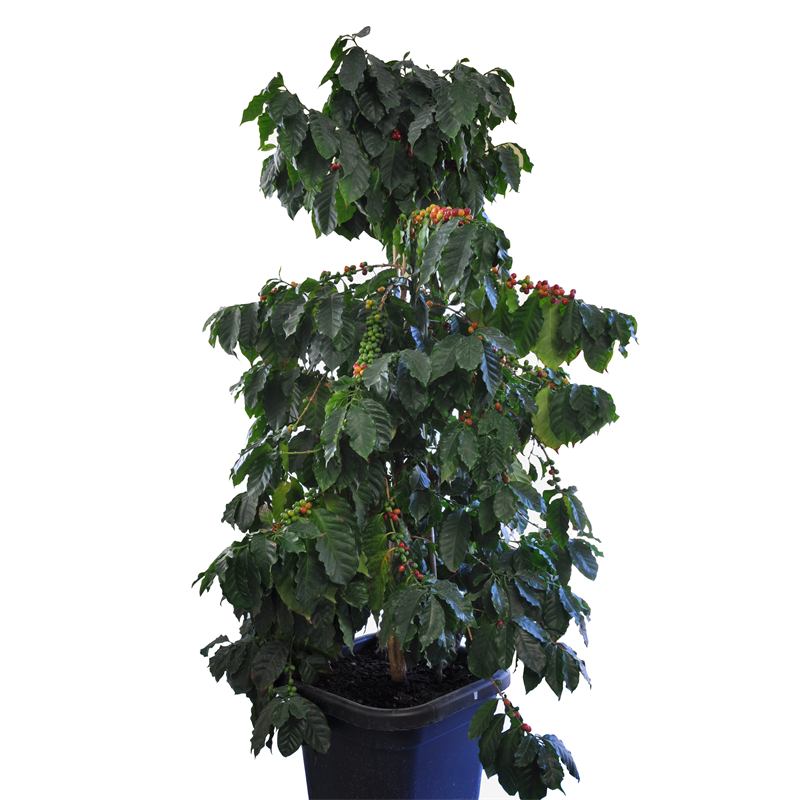 Coffee cherries turning from green to red in time for Christmas.